Cookie's Embroidery and Sewing Creations: "Valentine's in Appliqué" is a Crafting Dream! 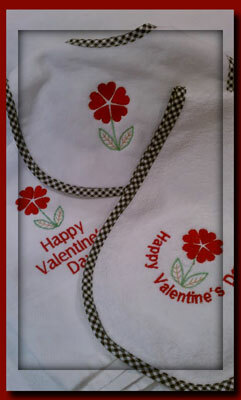 "Valentine's in Appliqué" is a Crafting Dream! Valentine's always turns my own creativity towards Appliqué sewing, and layered paper crafting projects with touches of photos. 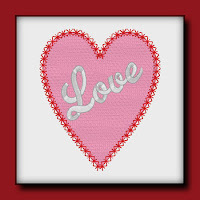 Valentine's is a personal favorite because of CHOCOLATE, sewing projects and the pretty cards one can make with various scrap book tools on the market. A few worth mentioning: the Cricut Machine, Sizzix Machines, stamps, punches all can be used with fabric projects as well as paper crafting. With an iron simply press fabric on to freezer paper, apply it to the cutting mat and cut out appliqués with the Cricut Machine using a fresh new blade or skip the Cricut and use some of your punches and die cuts. Are your punches getting dull? Punch through several layers of aluminum foil to sharpen them up! Ask me how I know! Each month, new free designs are added to the CookiesCreationsWebsite Facebook page while taking the ones from the month before down. 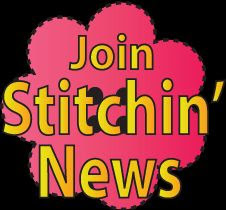 If you love sewing and crafting, consider sharing what you are working on, right there on our page. 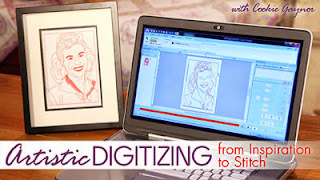 Uploading photos is easy and all of us can enjoy your creative work for INSPIRATION! Janet Bowman shared this on our Facebook page and she is quite Right! All of us, need inspiring project ideas! To our subscribers receiving the newsletter, the next one is scheduled for tomorrow night! 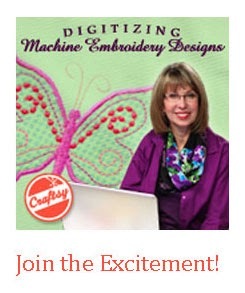 A free project and design of course is included. If you don't currently receive our newsletter, you can sign up on the home page of Cookiescreations or Join directly from our Facebook page as well.